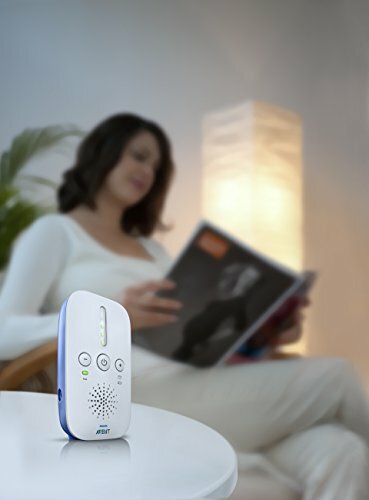 Enjoy peace of mind with the Philips AVENT SCD501/10 DECT baby monitor. DECT technology guarantees zero interference from any other transmitting product like other baby monitors, cordless phones and cell phones. It also provides high quality, crystal clear sound so you can hear your baby anytime. The unique Smart ECO mode automatically minimizes your transmission power and increases your battery lifetime. 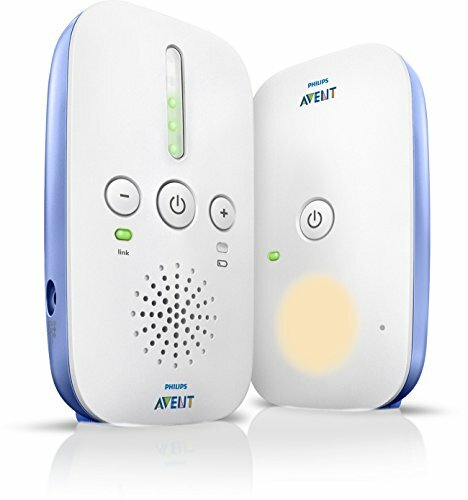 The five sound-activated LED lights alert you of the noise level in your baby’s room even when the parent unit is muted. If your baby is restless when you put them to bed, you can help soothe and calm your baby to sleep with the warm tranquil glow of the night light. With a range of 300m you can be fully mobile in and around the home. The parent unit can be outlet or battery powered using AA batteries (not included). Q:are both the parent and baby unit cordless or just the parent unit? Only the parent unit is cordless. Also, you cannot talk through the parent unit to the baby unit like you can with other models. We have a second older Philips model that allows this and use that feature on occasion to talk to my spouse when in the baby room. Q:This unit is bivolt or in another words works in 110V and 220V?